The word signals is a military term to represent all methods of conveying information between two points. Perhaps the earliest form of signals was the human runner. Some other forms that have been used over the centuries include pigeons, smoke signals, drums, bugles or whistles, lights, reflected sun light (heliograph), flags (semaphore), wire line telegraphy and telephony, radio telegraphy and telephony and most recently, digital radio. 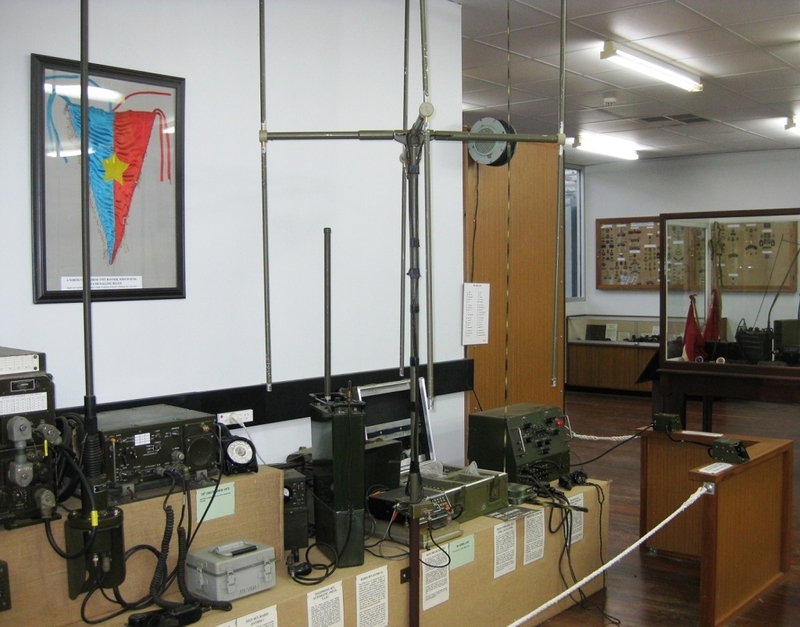 The Signal Collection, a privately owned variety of equipment illustrating many of the types of communications used over more than a century, was commenced in 1985 and has grown to be one of the largest collections in Australia. The collection illustrates a wide range of equipment used by Australia, its allies and its enemies at various times. 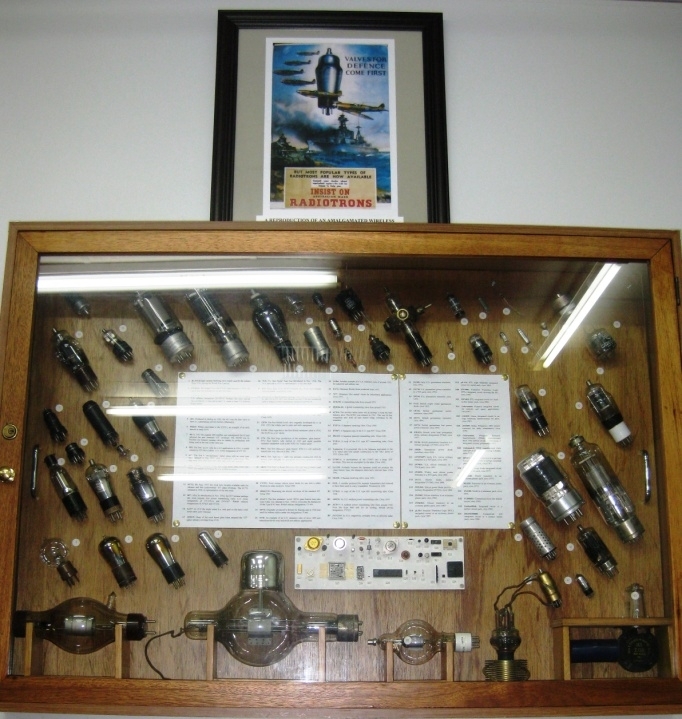 The oldest exhibit is a 1904 kerosene signal lamp of the type used during the Boer War and the most recent, two examples of Global Positioning System (GPS) or Satellite Navigation (SatNav) receivers ‘fast tracked’ in purchasing and evaluation by the Defence Science Technology Organisation (D.S.T.O.) for use in the first Gulf War of the early 1990’s. 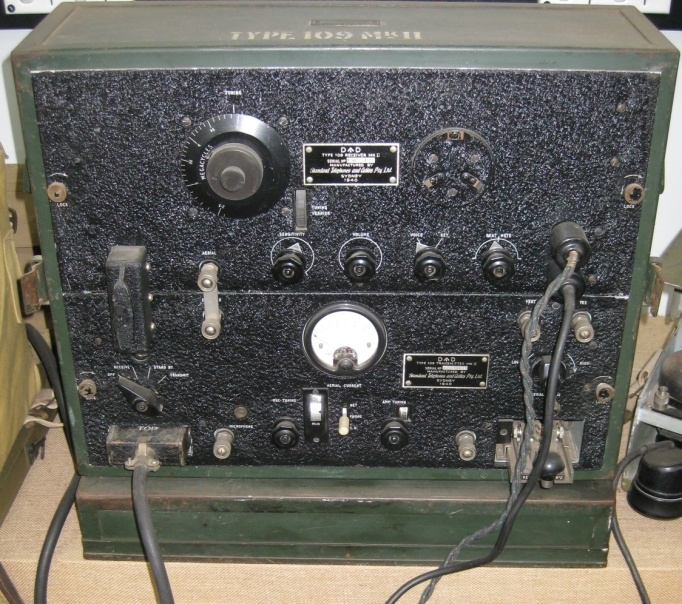 The visual communications equipment includes a Heliograph from 1912 and examples of signal lamps and flags used in both World War I and World War II. The line equipment illustrates telegraph and telephone used from prior to World War I through to the end of the twentieth century. One of the highlights of the collection is the wide range of radio equipment, the oldest being a receiver from World War I. Much of the equipment used by Australia and the United Kingdom during World War II through to Australia’s participation in the Vietnamese conflict is illustrated. Of particular interest are transmitter-receivers specifically designed during World War II by the Special Operations Executive (S.O.E.) for use by operatives (spies) in occupied Europe. This equipment was also used by the Australian Z Special Unit [predecessor to the Special Air Service (S.A.S.)] during the South West Pacific theatre operations. 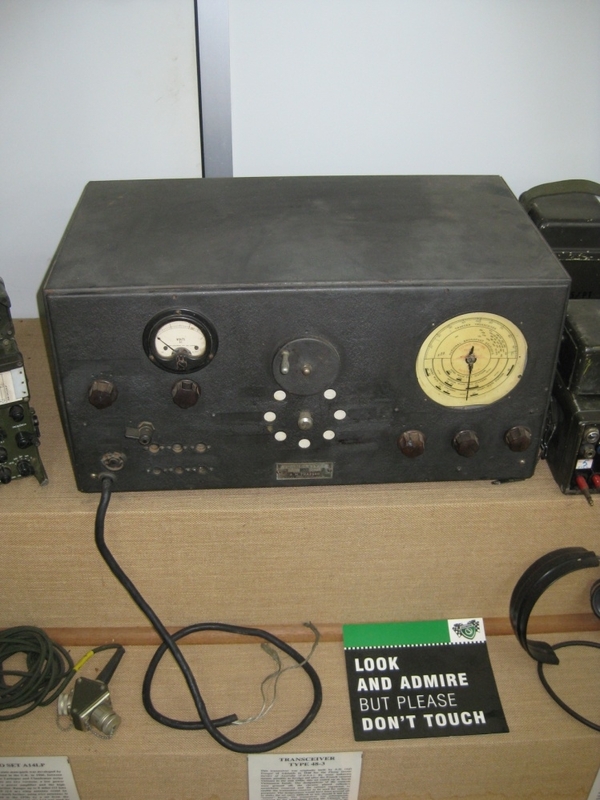 One example of unique equipment is a transceiver originally manufactured by Alf Traeger in Adelaide in 1948 for the Flying Doctor Service and supplied to Vietnam, probably as foreign aid, on Vietnam gaining independence from France in 1954. 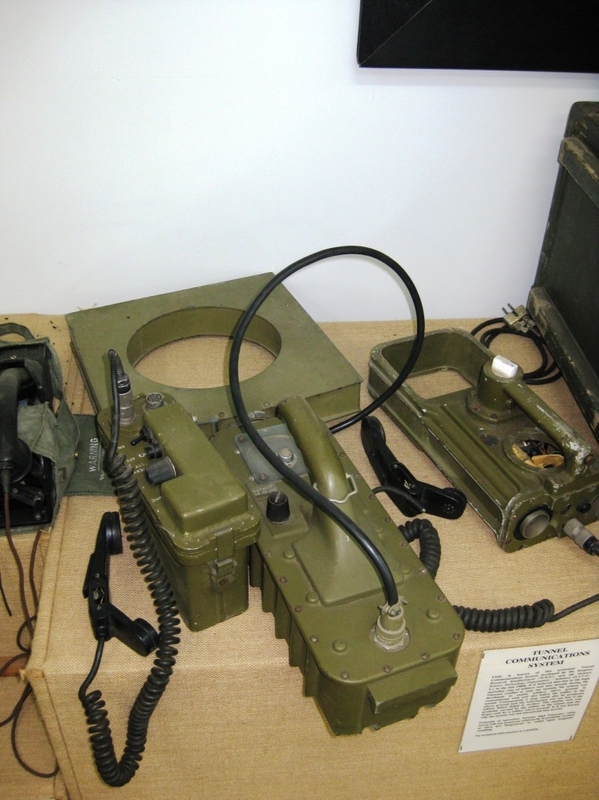 The transceiver was modified by the Vietcong and used against Australia during the Vietnamese conflict until captured by Australian personnel and returned to its city of manufacture, probably for technical evaluation by the Weapons Research Establishment (W.R.E., now D.S.T.O.). A second example, developed by W.R.E., again during the Vietnamese conflict, was to enable a soldier mapping a tunnel network to communicate with soldiers above ground and for the soldiers above ground to follow, sketch the movements of and communicate with the soldier underground. Thus if the underground soldier is lost, the information that he has gained is not in vain. It is thought that this equipment did not go into production for unknown reasons. 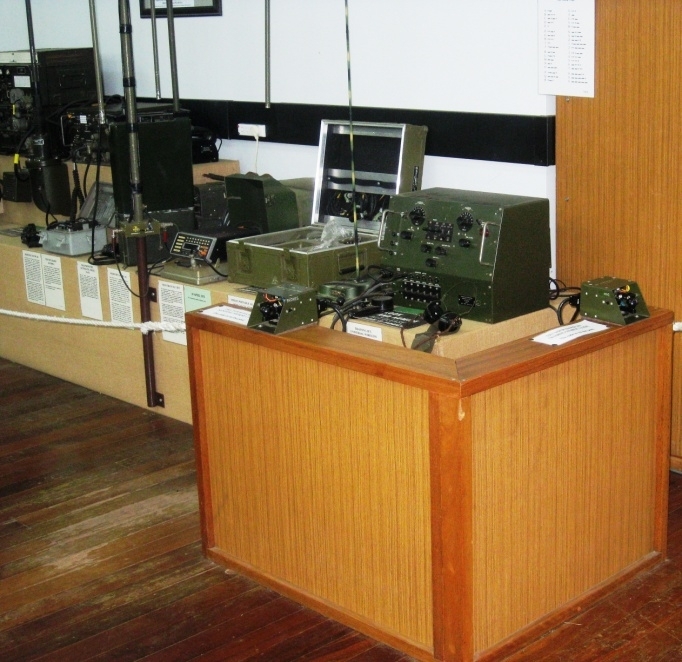 There are a couple of interesting educational features showing the development of the electron valve (vacuum tube) of World War I through to the large scale integrated circuit (micro-chip) of the 21st century and a ‘hands on’ Morse code training set to enable visitors of all ages to try their hand at sending Morse code. Regrettably, a few highly desirable exhibits, a World War I German telephone, a World War II German ‘amenities’ receiver and S.O.E. steam charging set are not on display, except for special occasions.